In this staged photo by Pravda photographer Georgi Zelma (1906-1984), a Soviet assault group prepares to attack. Several different compositions of this view exist. 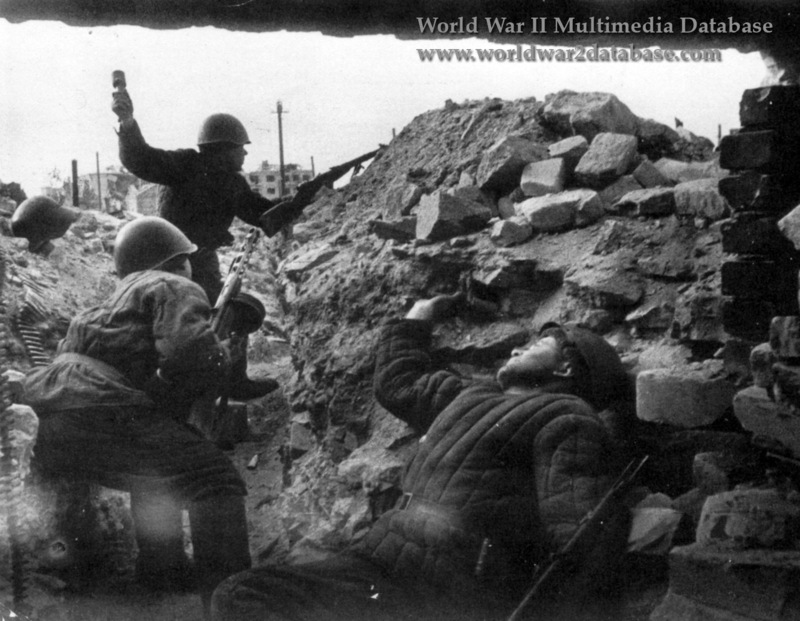 It was taken at Stalingrad during the campaign, so it is a reasonable depiction of Soviet soldiers, although they are very well equipped, with helmets, warm padded vests, PPSh-41 submachine guns and hand grenades. Assault groups would storm German fixed positions and overrun them. They incurred heavy casualties.